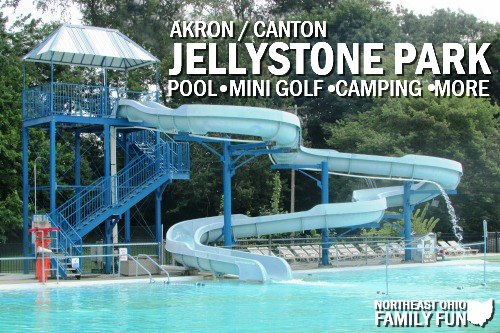 Akron Canton Jellystone Park (once called Clearwater Park) is located in Hartville Ohio and it's full of fun activities for families. While we were there we played a round of miniature golf, ate lunch in the picnic area and enjoyed the swimming pool. 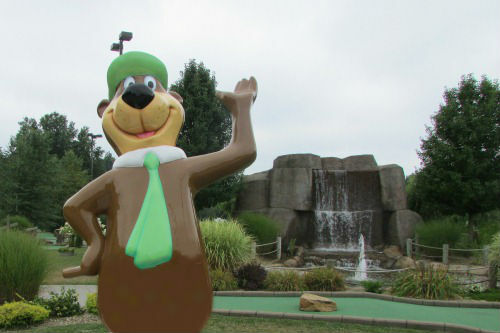 We started our day playing putt-putt on the 18 hole course. The course was very well kept and consists of waterfalls, rivers, bridges and a big cave. The course had enough curves and obstacles to make it challenging but not too difficult for children. The kids and I had a great time playing and we even got to celebrate a hole in one! After finishing up our round of golf, we grabbed our packed lunch and headed to the picnic area. We found a table in the shade and enjoyed our meal. If you'd prefer to purchase your food, they also had a good selection at their concession stand (including homemade ice cream). The highlight of our day was the swimming pool. 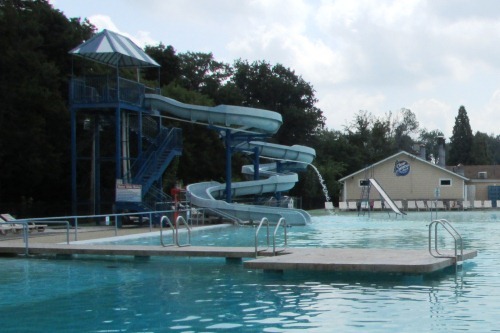 It's the largest outdoor pool in Stark County and is open from Memorial Day through Labor Day. 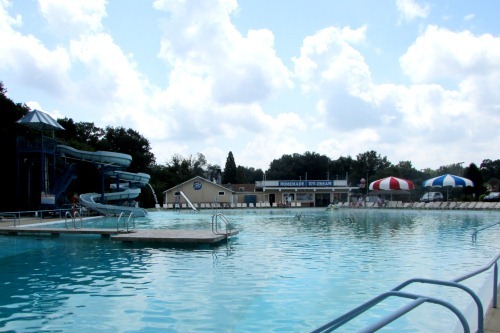 The rates are very reasonable and day passes or season passes are available. As a parent with young children, I always prefer swimming pools that have a zero entry point, because my children to safely play together and I can watch from the comfort of a nearby lounge chair. 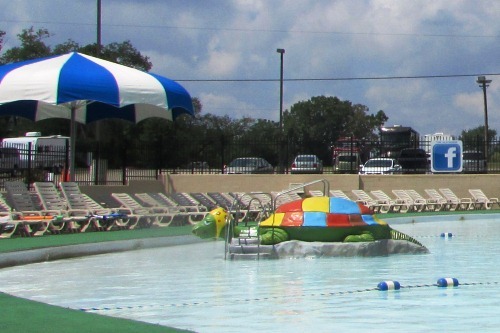 I was very happy to see that the pool is a zero entry pool and has a large shallow area for children. Both of my children really enjoyed sliding down the smaller slide in the shallow end of the pool. The water was about 3 feet deep, which is a great dept for elementary aged kids. I even saw a few toddlers wearing life vests slide down by themselves. 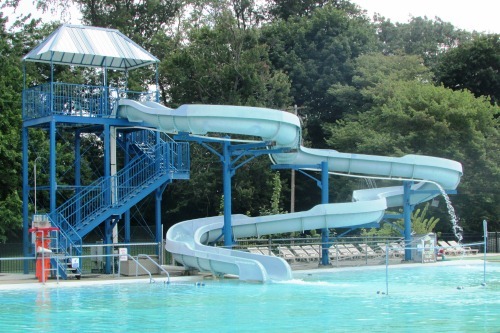 In addition to the two smaller slides, Clearwater also has a 144 waterslide for both kids and adults. 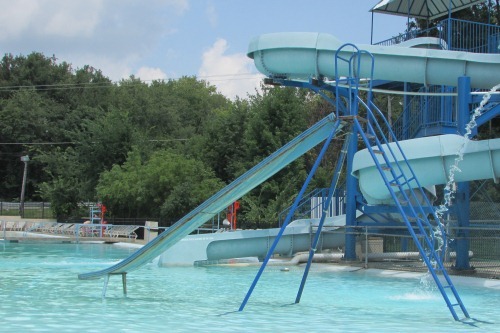 The water dept at the bottom of the slide is about 4 1/2 feet deep so children must be a certain height to ride alone. 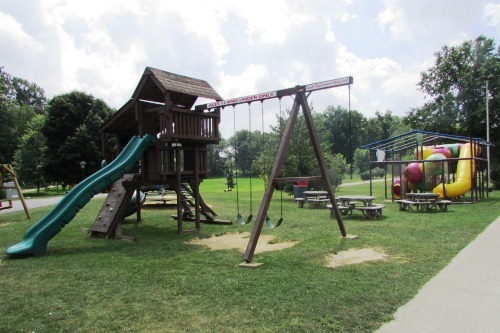 Both of my children were too short, but that didn't stop us from enjoying the slide, because adults are able to slide down with children who are too short to ride alone. I had a blast sliding down with my kids! The deep end of the pool was also very spacious and was 12 feet deep at the dock and diving board area. While we were there, many older children were taking turns driving and jumping off the dock into the water. 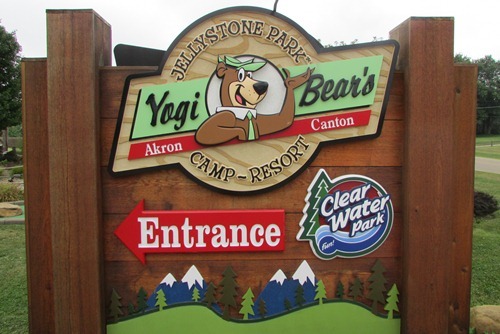 Have you ever been to Akron Canton Jellystone Park before? If so, what are your favorite activities?